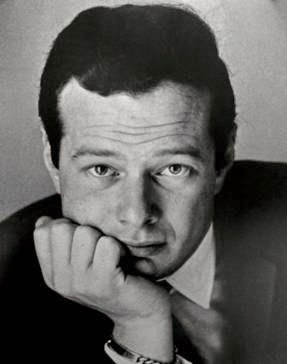 On Friday 19 September the Epstein Theatre once again throws open its doors to the public for a now annual Open Day in honour of the late Mr. Brian Epstein’s Birthday, marking what would have been his 80th Birthday. The public can come along and enjoy a free cup of tea or coffee and for a small donation, a delicious range of sweet treats and cakes. To celebrate the occasion the theatre are asking any budding bakers to bring a cake with them that can then be sold, with all proceeds going to Statue 4 Eppy, a project that is raising funds for a statue of Brian Epstein to be erected in Liverpool. On the day, the Epstein will be open from 10am to 4pm and will also feature tours of the theatre where the public can explore the beauty of the venue, which is now also available to book for a variety of occasions including corporate events, conferences, weddings and special occasions. This will mark yet another event in what has been a very special year for the former Beatles manager; 2014 has already seen Epstein: The Man Who Made The Beatles, a fascinating window into the much speculated private world of the music entrepreneur have a successful 6-week run in London’s West End; a prestigious Heritage Foundation Blue Plaque unveiled outside the London NEMS office in his honour, and was also posthumously inducted into the Rock & Roll Hall of fame following a campaign from fans. Always proving to be a popular event, hundreds of people from all over Liverpool and beyond attended in 2012 and 2013, paying tribute and celebrating the life of one of Liverpool’s most-loved sons and theatre management are expecting an even better turn out this year! The theatre’s brand new Autumn/Winter season brochure will also be hot off the press and the first copies will available to pick up on the day.